So this is going to be a review of the stila smudge stick in shade starfish which is a waterproof eyeliner which doesnt budge what so ever. 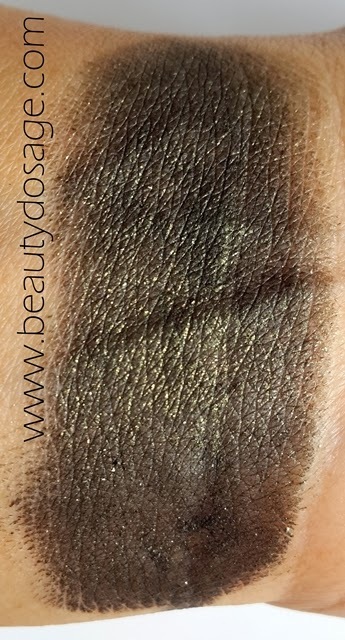 I do love the color for the fall time and you can see the m in the swatches below.A great way to try high end makeup is to get the sets which the brands come out with and i believe stila has a set too for these eye liners which you guys have to try. 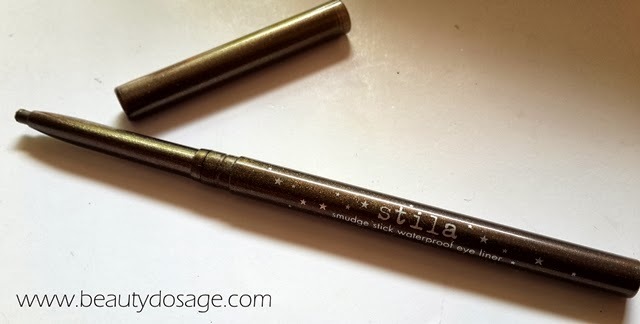 I got this eyeliner along with my stila in the garden eye shadow palette (REVIEW HERE). What does Stila say about this product? Obsessed with Smudge Pots? You'll go crazy for Smudge Sticks! This highly pigmented, waterproof eye liner glides on to deliver intense, vibrant color with staying power. 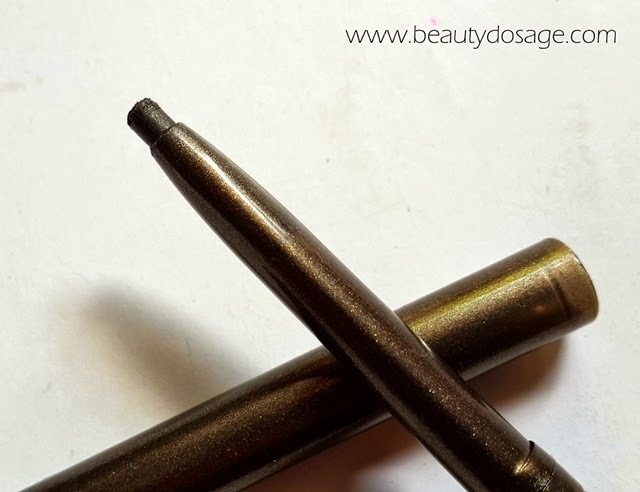 When I received the palette I already knew that I’m going to fall in love with this eyeliner just with my initial opinions of its texture and lasting power (especially the latter). 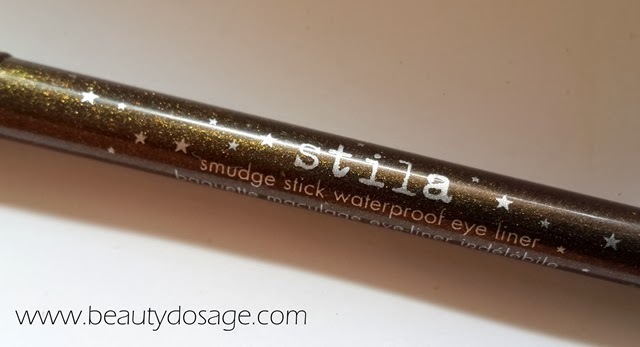 The stila smudge stick eye liner pencil as the name suggests, is extremely waterproof! When I say waterproof it doesn’t even come off easily when I try removing it with my usual makeup remover (olive oil) which removes all of my makeup instantly. The product applies really well and is creamy itself but sets really quickly so you might need to work with it pretty quick. The packaging is one downfall of this product. The retractable mechanism is something is extremely loved in pencils but mine always gets stuck or doesn’t move at all (I feel like it’s just my unit). The longevity of this is that it lasts until you take it off. The shades available on the stila website is quite a good variety for any look, neutral or dramatic. The pigmentation of this product is extremely opaque and doesn’t thug or pull your eyes when you apply onto your water line. The shade starfish as I said earlier is a lovely moss green shade with golden specs in it. The green one was provided with the palette because of the theme of the palette being the garden. One thing I wish these had is a sharpener to point up the tip like the L’Oreal color rich lip liners. I think that that would have made it easier to draw on the upper lash line etc. What’s great about the Stila smudge stick waterproof eyeliner in the shade starfish? 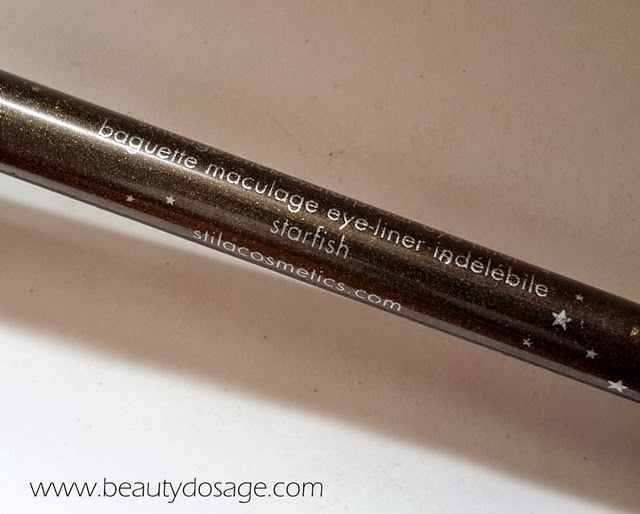 What’s not so good about the Stila smudge stick waterproof eyeliner in the shade starfish? I love this product regardless of the flimsy one I got. It is the perfect definition of a waterproof eyeliner and I’m really excited to try the matte black which would be great for everyday wear! Highly recommend this! I absolutely love the shade. This sounds so great! amazing shade... :) my skin being really oily I always look for smudge proof eye products..this one seems great..